When you are in pain, you will do almost anything to make it go away. If you have tried multiple solutions to no avail, it is likely that you will feel desperate for relief and resort to using anything that will work. Sometimes the only relief a person can get is through the use of drugs, including opioids. 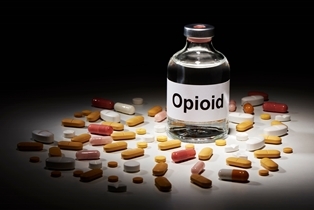 However, opioid painkillers come with high risks including dependence, addiction, and death due to overdose. This is where opioid alternatives come in. You can still manage pain without using opioids and only resort to opioids when all else fails. You can use alternative pain medication such as ibuprofen which is a non-steroidal anti-inflammatory drug, aspirin or Tylenol. These can help you to reduce various types of pain that are mild and moderate such as toothaches, headaches, cramps, and muscle aches. Patches are also effective at improving pain especially muscle pain. The medication in form of a patch is applied topically in the affected area where it remains for 12 hours and then removed for 12 hours. One benefit of patches is that the drug is applied directly to a particular area without going through the blood supply. Some medications not necessarily meant for pain such as anti-seizure medications, antidepressants and sedatives can also be used to alleviate pain. For instance, gabapentin which is an anti-seizure medication can be used to alleviate diabetic foot pain while Cymbalta an antidepressant can be used to relieve low back pain. You could also use steroid injections if the pain is related to tendons and joints. Although suitable as a short term solution, the steroid is injected directly into the pain area. You can relieve some types of pain without using medication. One commonly known method is physical therapy where a physician or a physical therapist creates an exercise program that is meant to decrease pain. It is the preferred method for chronic pain and can be used to treat knee or hip osteoarthritis, low back pain or fibromyalgia. To alleviate chronic pain, an exercise program can be designed based on your pain needs to help improve range of motion and flexibility as well as boost strength. Acupuncture involves the insertion of long thin needles on some parts of the body which is believed to reduce pain. Therapeutic massage reduces stress, relaxes painful joints and muscles thereby relieving chronic pain. Chiropractic care helps to improve migraines, neck and back pain, whiplash pain and disorders such as multiple sclerosis. The process involves ergonomic training, posture education, laser, and ultrasound therapies as well as spinal manipulation. Sometimes chronic pain may not respond to non-opioids medication or physical therapy and may need further intervention. Due to the improved technology, there are advanced methods that can be used to treat adamant chronic pain. Such include electrical signals, radio waves, pain pumps, nerve blocks, and spinal cord stimulation. Under the transcutaneous electrical nerve stimulation or electrical signals, low voltage signals are sent to the painful areas using pads stuck to the skin. The method provides short term relief from muscle pain. To relieve pain using radio waves, a needle is inserted next to the pain nerve. The nerve is then burnt using radio wave generated electric current and the pain signal is short-circuited. The effect can be felt for up to a year. Numbing medication is injected in a given location depending on the pain type when using nerve blocks. The medication blocks the pain and it may also prevent the pain from developing.